A couple years ago some friends made this at our Friendsgiving dinner. I’d never had anything so good! I immediately asked for the recipe and have been making it as often as I could since. 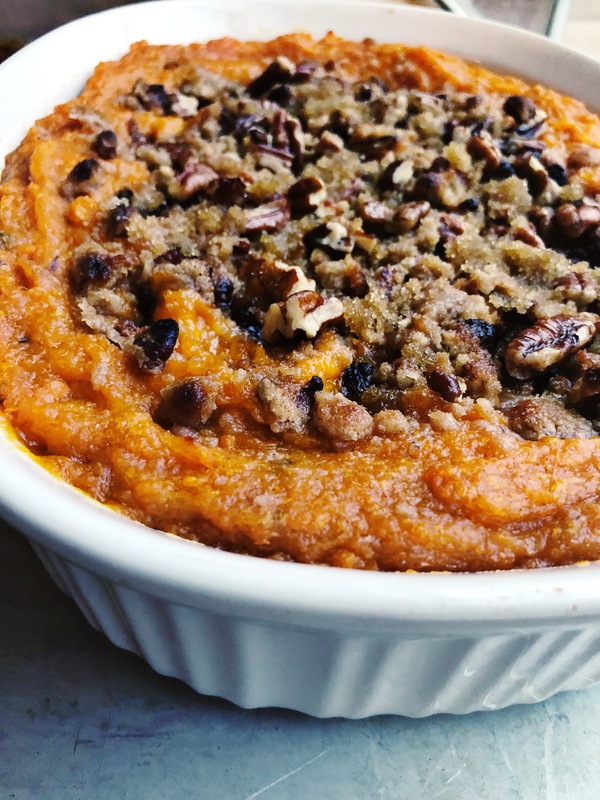 It’s a creamy and sweet mashed sweet potato with a cinnamon brown sugar and pecan crumble. The combination of it all is really amazing. 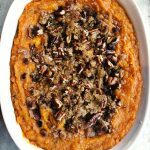 For extra easiness, you can cook your sweet potatoes all day in a crock pot with a little water. Then when you’re ready to mash them and mix them up, it only takes a minute to prep. 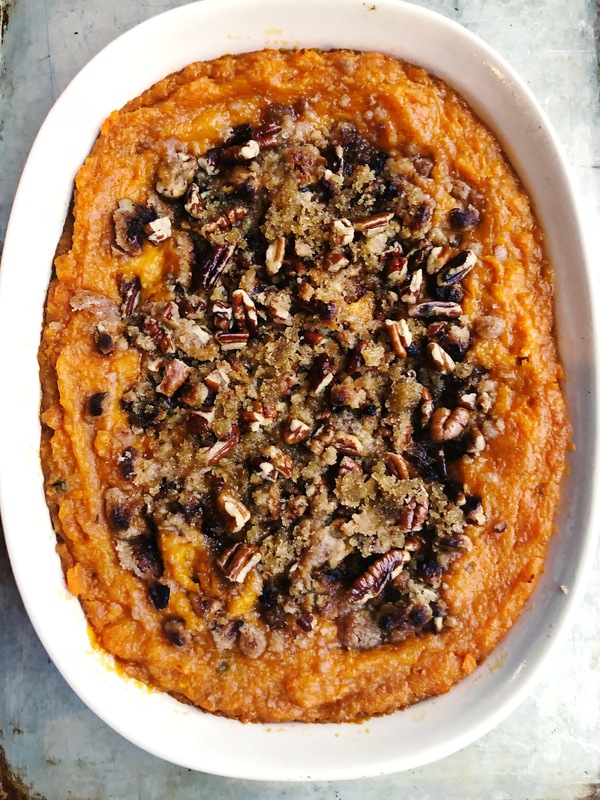 The best sweet potato bake you've ever tried. 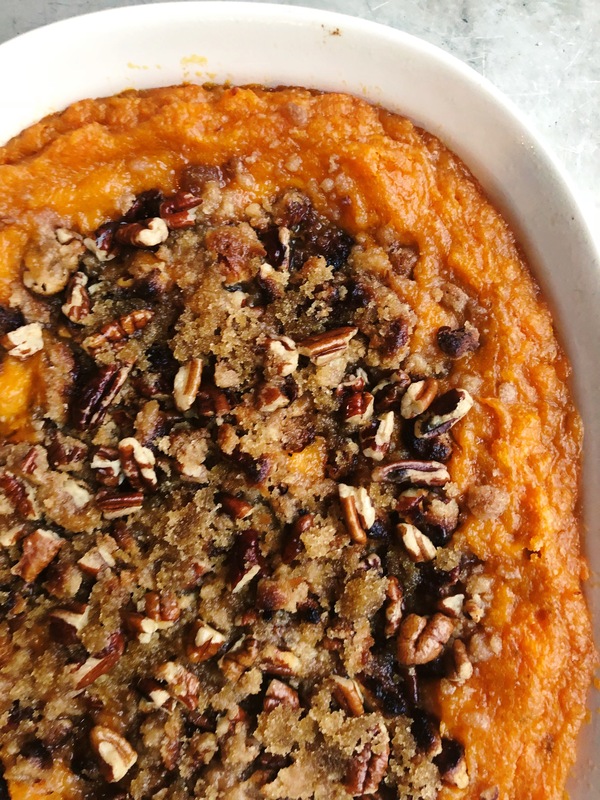 In a large bowl, mix together the sweet potatoes, white sugar, salt, butter, cream and vanilla extract. Mix until smooth. Transfer to a 9x13 inch baking dish. In medium bowl, mix the cinnamon, brown sugar, and flour. Cut in the butter until the mixture is coarse. Stir in the pecans. Sprinkle the mixture over the sweet potato mixture. 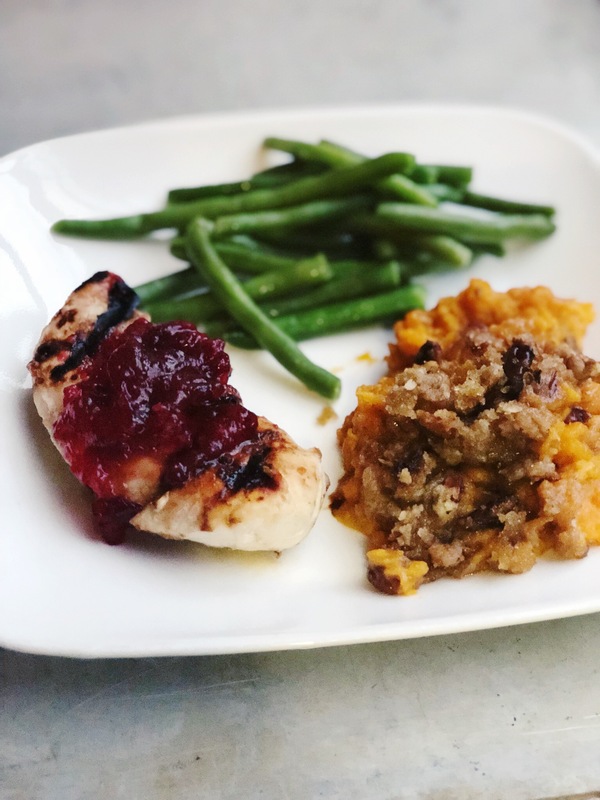 This dish is perfect for Thanksgiving or any fall meal! Last weekend I paired it with some cranberry chicken and green beans. 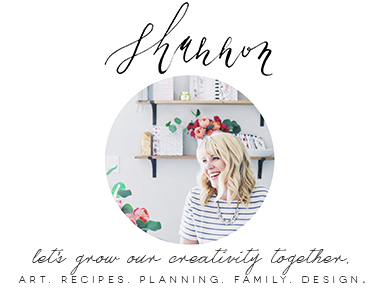 Also be sure to click here if you’d like to check out my other recipes. 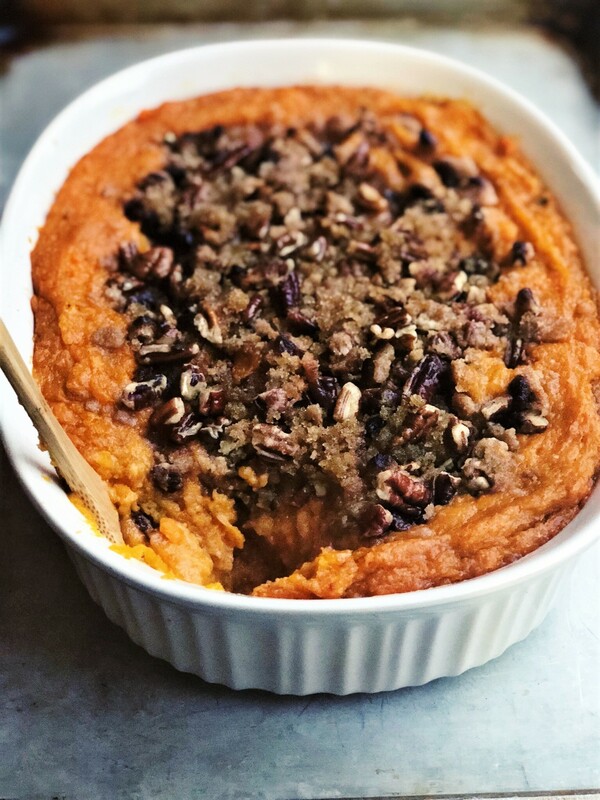 Thanks for reading about this amazing Sweet Potato Bake! Click below to share this post. And be sure to also follow along on Instagram and Facebook for more updates. I made these for Thanksgiving. They were AMAZING! SO good! I ate them for the next 3 days for EVERY meal!!! Everyone LOVED them! Not a single complaint! I’m so glad!! Isn’t it soooo good? Thanks for letting me know!